Zayyar Win Thein's "Newspread" is back with its latest issue of fire content. For those who don't know, Newspread is a monthly PDF downloadable magazine issue that is completely free and rich with original content. This month's issue features an in-depth interview with our good friend and HYPEBEAST Editor, Ben Roazen. 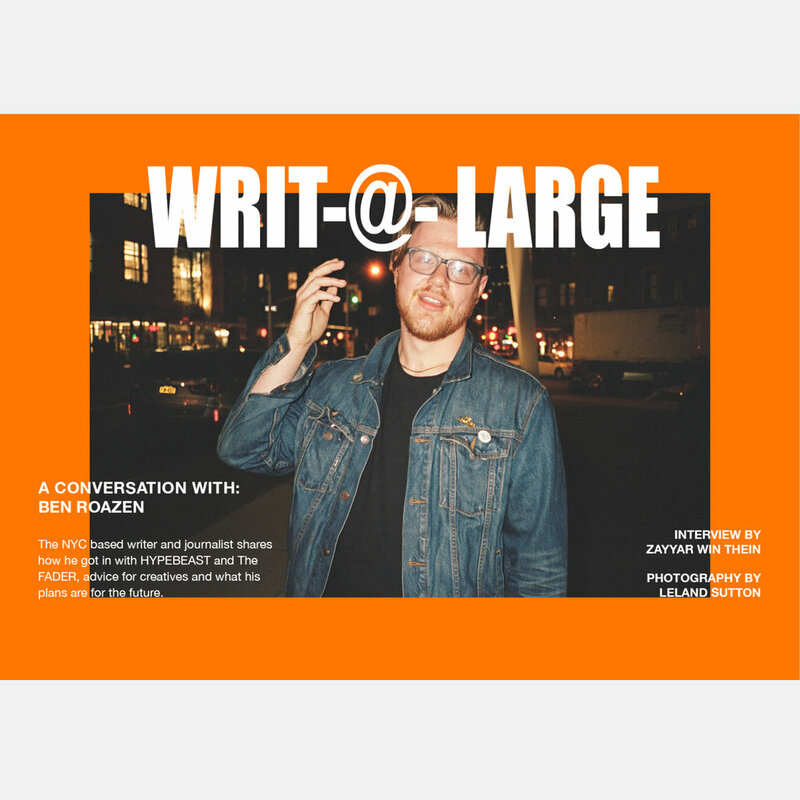 Ben has written numerous articles for a variety of publications such as GQ, Hypebeast, and Pigeon & Planes. Not only is Ben a talented writer, but he has also recently been a part of the launch of HYPEBEAST radio, which is a series of podcasts featuring influencers within the community. Issue 006 also features a variety of imagery, music, art, and design, which is entirely clickable and interactive. We love the curation and the simplicity of Newspread, and they continue to blow us away with each new edition. Issue 006 of Newspread is currently available for download, so be sure to head to their site to check out the entire spread. Be sure to follow Newspread & Zayyar on Instagram for more creative content.